In the late summer of 2007 I released the studio recording of my very first five songs. They are just me and my guitar, my voice, my melodies, and my stories of being cared about and the longing for it. The musical tone has an Irish-German feel to it. Digging deep into my inner darkness as I wrote the songs the tone of the lyrics holds utter positivity. This acoustic album of five catchy and uplifting songs in perfect sound quality has been left in its raw state to preserve the expression of the authentic first effort. You can buy the digital download for € 4. 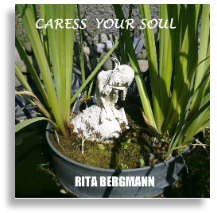 Please send an email to ritabergmann.rb@gmail.com to order and arrange payment via Paypal. Thank you for supporting me as an artist.